In its 30th year, ArtsQuest is a fine arts festival that takes place in the Town Center of Grand Boulevard at Sandestin. Produced by the Cultural Arts Alliance of Walton County, ArtsQuest provides an opportunity to view and purchase original art from over 200 artists from around the country while also experiencing live musical entertainment, ImagiNation (where kids rule), student exhibits and great food & beverage options in the Town Center of Grand Boulevard at Sandestin. Book a stay with us today! A dazzling array of wine, food, entertainment.and celebrity. For over 30 years, the South Walton Beaches Wine and Food Festival has livened up the spirits and appetites of locals, vacationers, amateurs and connoisseurs. 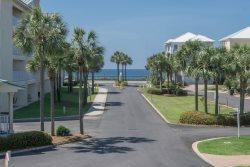 Book a stay with us at CoastlineCondos. The 32nd Annual Sandestin Wine Festival takes place April 12-15, 2018. The Sandestin Wine Festival was named the “Best Annual Event” by Destin Magazine. Known as the Best event in the Visit South Walton Beaches Wine and Food Festival area. The Village of Baytowne Wharf, Destin, FL. We are located on Scenic Gulf Dr just 5 minutes from the festival. Book a stay with us today! 2018 RevFest brings the BEST original music to the Emerald Coast for the 6th consecutive year! RevFest is an all day event for the whole family. Early Bird Tickets are $10, admission at the door is $15, and kids 12 and under are free! A portion of the proceeds will go to benefit the Special Forces Association Chapter 7. Plus lots of original artwork and vendors! The event will be held rain or shine. Destin is never at a loss for music. Destin concerts are available all over the area this summer. If you love music, this is the place. And most of these are absolutely free! Annual Destin Seafood 38th Festival on the Destin Harbor Boardwalk. Sept. 30 to Oct. 2. Harvest Market on the East Lawn of Rosemary Beach with 50+ vendors. Oct. 22. 9am - 5pm. Make plans to celebrate in Destin on September 30th-October 2nd, when the 38th Annual Destin Seafood Festival fills the Harbor Boardwalk with fresh seafood, live music, and fun! The Destin Seafood Festival is one of the biggest and best festivals of the year. The festival brings people from all over the area together to celebrate the fresh Gulf seafood, the Destin Fishing Fleet that makes it possible, and the wonderful community of Destin. Each year, over 70,000 guests visit the Destin Seafood Festival to try amazing seafood specialties, browse local craft vendors, and enjoy a tasty beverage, all while enjoying the beautiful backdrop of the Destin Harbor. Admission to this event is free, and each year the festival comes back bigger and better than before! The festival kicks off the beginning of the Destin Fishing Rodeo, which goes on for the entire month of October, and is also a cherished local tradition. Stay with us at Coastline Condos and save 20% on your October stay by booking with offer code SEAFOOD2016. Use offer code SEAFOOD2016 to save 20% all during October to celebrate the 2016 Destin Seafood Festival. For more information about a great place to stay call us at 423.899.3003. For more information about the festival visit destinseafoodfestival.org or call (850) 428-7783. Red, White & Blue Military Heritage Tribute every Thursday 7pm thru Labor day September 5. Fireworks display over Destin Harbor. Saturday nights - Rock the Docks Concerts at Harborwalk Viliage. We’re bringing the heat to the Destin harbor as over 20 restaurants cook-up their secret Chili recipes for the 11th annual Chili Cook- Off! Hot, spicy chili and live entertainment on the Destin Harbor! Tickets are $20. Click here for tickets and more info. Don’t forget to wear your GREEN! The whole clan will enjoy an afternoon full of live Irish music and activities! Wee ones will enjoy face painting, arts and crafts, and an interactive treasure hunt through HarborWalk Village, sure to lead to the Pot O’ Gold! After dark, “Sham-Rock” for a cause! Travel throughout HarborWalk Village for the largest Grogg March this side of the Blarney Stone! Enjoy a flavorful afternoon on Destin Harbor full of tequila tastings, contests, live music and tacos of all kind! Ticket sales coming soon. See You Next Year in Destin! ArtsQuest, a fine arts festival produced by the Cultural Arts Alliance of Walton County (CAA) and presented by Visit South Walton and Grand Boulevard at Sandestin reveals Amanda Bennett as the Featured Festival Artist. The 27th annual festival, a Mother’s Day weekend tradition, is scheduled for May 8-10, in Grand Boulevard at Sandestin’s Town Center. The annual Blessing of the Destin Fishing Fleet takes place in the Destin harbor. The community gathers to bless charter fishing boats and others who earn their living from the sea, for safe passage and bountiful catches. Live music on the main stage from Bonray, & Consumed by Fire to celebrate the Blessing of the Fleet. This annual wine and food tasting event is a fund raiser for The Destin Charity Wine Auction Foundation benefiting children in need in Northwest Florida. We are excited to welcome back the Wednesday Night Concert Series. We’ll be tantalizing your musical taste buds with musicians to entertain all of our guests throughout the month of April! December '63 A musical tribute to Frankie Valli & The Four Seasons at the Mattie Kelly Arts Foundation. The re-creation of the Frankie Valli and The Four Seasons Concert will have you reaching for the high notes as the cast and band take you on a musical journey with stops at every phase of the careers of Frankie and the boys. 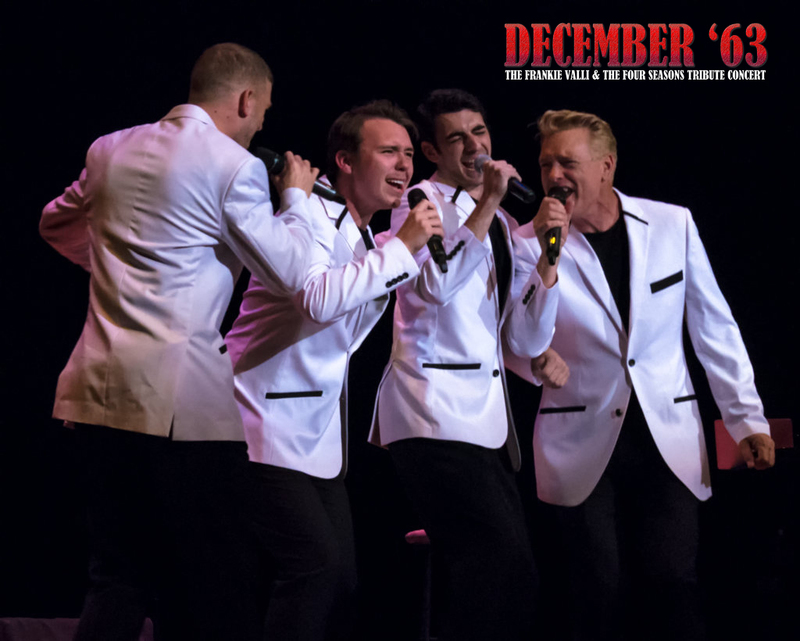 DECEMBER '63 showcases one of a kind classics that have been thrilling audiences for decades including the most popular singles from the musical The Jersey Boys. VIP Event Tables available on a first-come, first-served basis. These tables include reserved seating for 6 or 8 guests and includes admission. Call MKAF at 850.650.2226 or click here to reserve your table today! The 29th Annual Sandestin Wine Festival will take place April 16-19, 2015. The Sandestin Wine Festival has been named the “Best Annual Event” by Destin Magazine, and is known as the Best event in the Visit South Walton Beaches Wine and Food Festival area. We're going. How about you? ARTWalk on The Destin Harbor features dozens of local artisans and craftspeople along this open air waterfront boardwalk. Jewelry, sculpture, mixed media artwork, repurposed wood furniture and home accessories, handcrafted treats from seasoned snacks, nuts and popcorn to custom blended fragrances combined with your favorite national brands such as Life is Good, UGG, Costa, Billabong, Donald Pliner, NorthFace, Patagonia and Vera Bradley. The ARTWalk on The Destin Harbor is a vibrant marketplace, bustling with street performers, live music, a the perfect way to spend the day and browse through this unique art market. This event and parking is free and open to the public. Click here for more information.